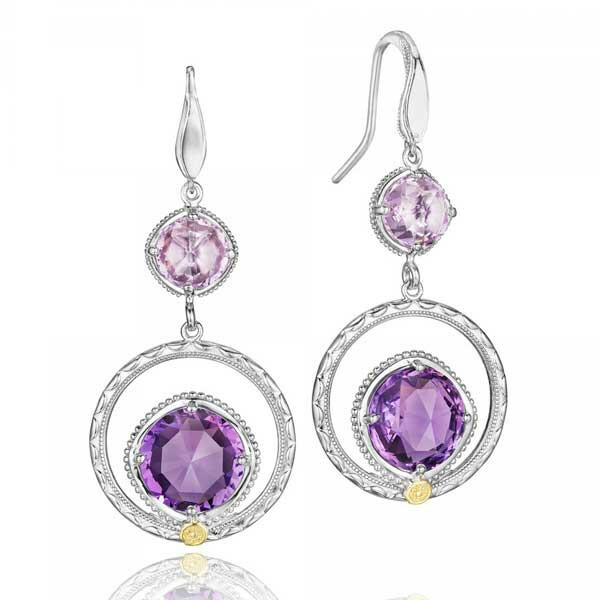 These elegant drop earrings are from Tacori's Lilac Blossoms collection. A delicate rose amethyst drops from a French wire to dangle a large amethyst that is set within a circle of sterling silver etched with the signature crescent motif. Dare to dangle a fabulously feminine look with this pair of Tacori earrings.